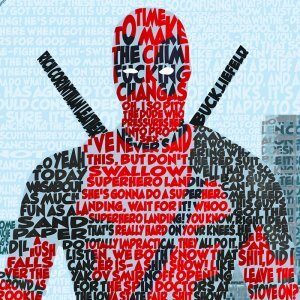 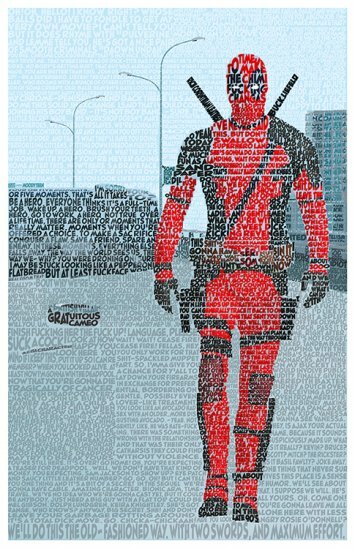 Home :: Limited Edition Items :: Deadpool 20x30"
This print is made entirely out of words! 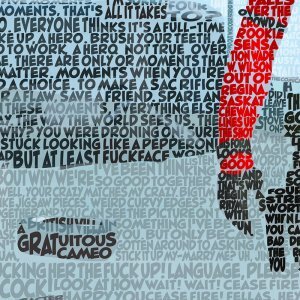 The image shows Deadpool, formed with dialogue quotes from his 2016 film. 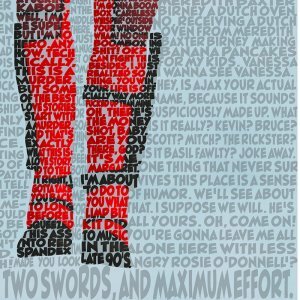 Parents please note both the film and this art print feature oh-so-very-rated-R language.